Today we're looking at another very common alteration - taking up/letting down hems. Of all the known alterations, this is the one most likely to be successfully done at home. 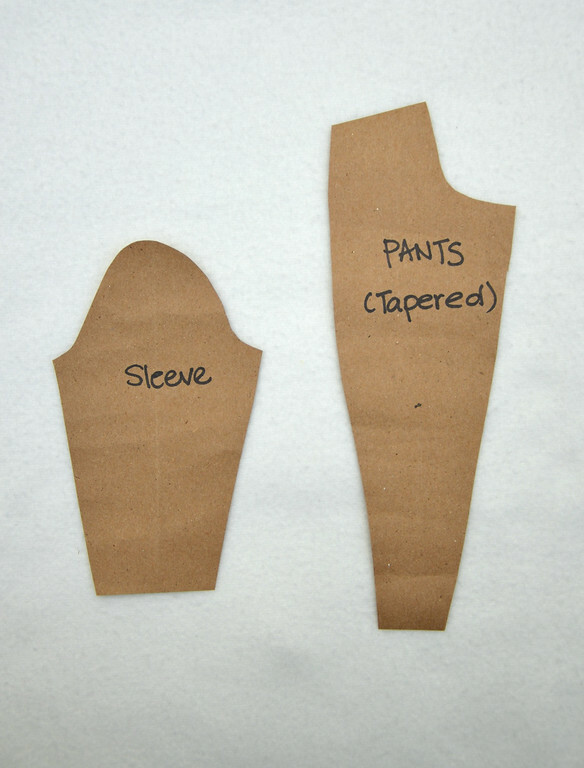 It is also the one that costs least when done by a professional tailor (within the usual "simple" limits, of course). In other words, almost anyone should be able to do it. 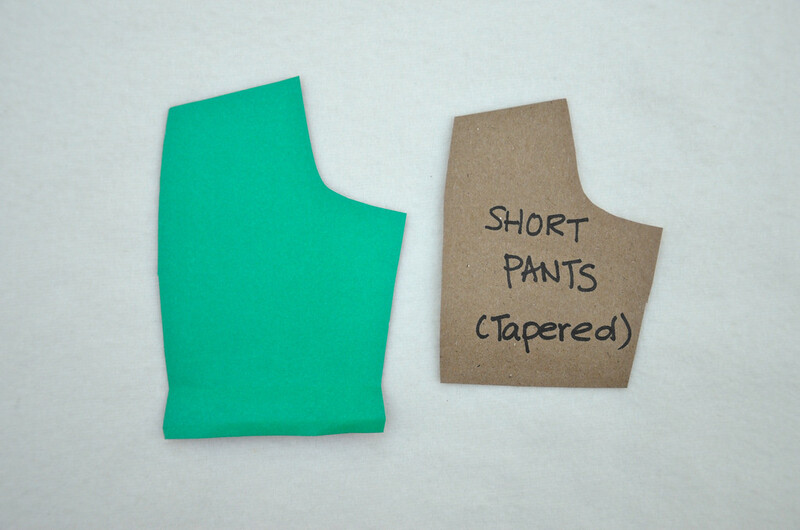 Happily, a too-low or too-high hem is also one of the most common complaints in store-bought garments. 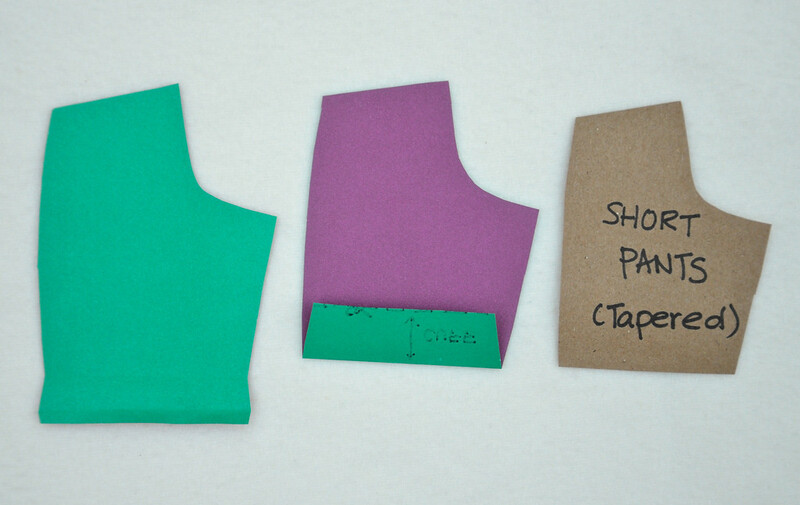 It's a perfect combination - if you buy a garment that isn't quite perfect, chances are that the hem is at fault AND you're probably able to change that quite easily. The big question with hems, then, is how much to take up or let down? Is there a "correct" length for pants, or skirts, for instance? And what if you plan to wear different shoes -some with heels and some without- with the same pair of jeans? There are a few rules of thumb for pants hems, among them: they should not touch the ground, they should cover the heel, the pants should break only once, etc. Don't just take my word for it, though - this is what other people are saying here, here and here. I just want to say one more thing about taking up the hems of too-long pants: wash them first, especially with fabrics with stretch in them. I altered two pairs of fresh-from-the-store corduroy pants to the perfect length, then after the first wash they were an inch and a half too short. I wore them that way -horrors! - for more than a year, and then decided I was tired of people seeing my socks. I doctored them - and you shall see the result later in this post when we meet them again. 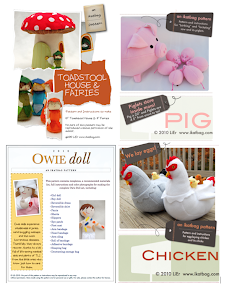 Now I want to pretend I'm the Agony Aunt of Alterations (and Alliteration!) and dig into my virtual mailbag so I can answer questions to myself. Hee! I have a pair of jeans that has a huge hole in the knees. 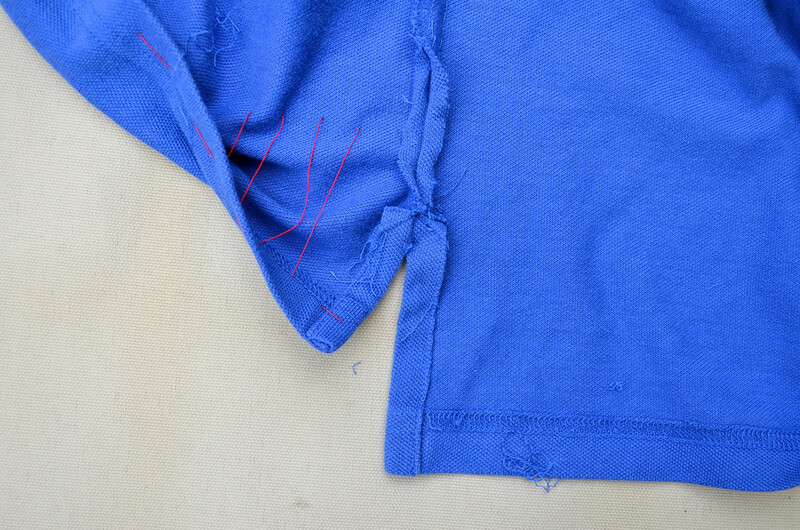 I've tried patching the hole - but after the fourth time, there wasn't enough fabric hanging on the fibers to work. I've decided to cut them short - real short. I've seen those cute denim shorts with the turned-up cuffs and thought I'd like to do that. What do you think? First, let me congratulate you on still being able to wear your jeans! How wonderful that the fabric wore out before the pants themselves became obsolete as a result of too much nutella/too many children. Oh wait, that was me. Next, let me say what I think about turning jeans into shorts with cuffs: No. More specifically, jeans-into-shorts = yes. You're going to regret writing to me, because here comes a lecture on layout and hem allowances, but -hey- you asked. 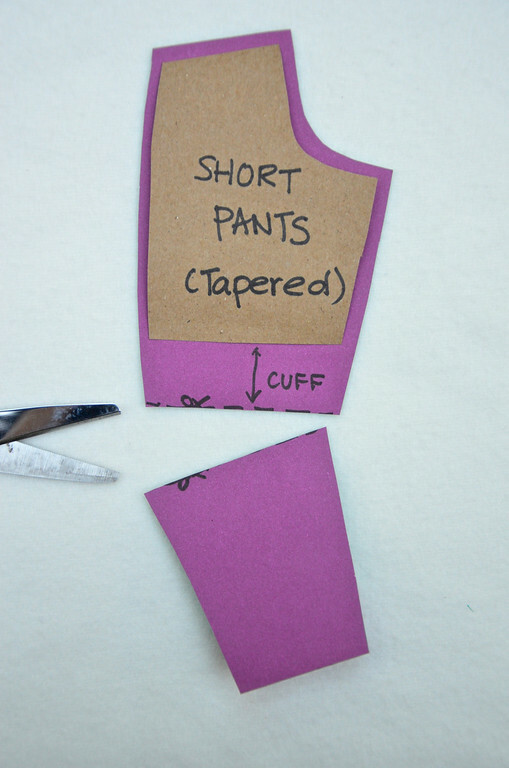 lay the pattern on the fabric and cut it out, with seam allowance all around. 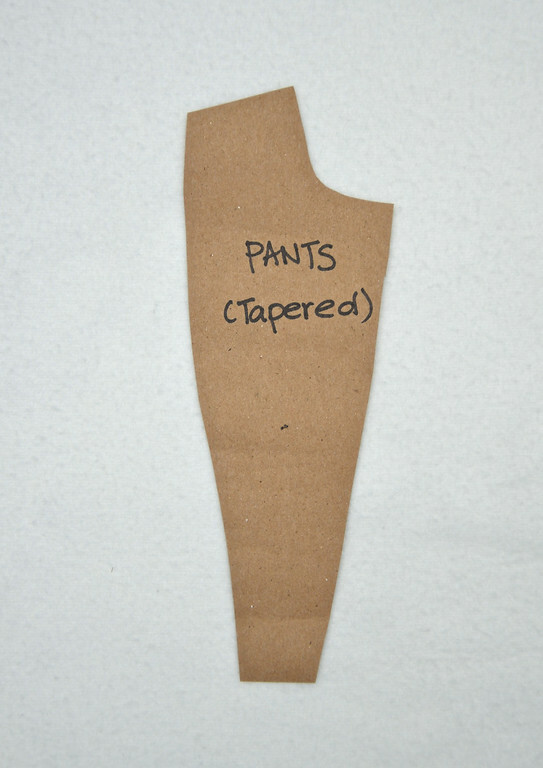 That's a funny shape - it isn't tapered like the rest of the pants. Look at the shape of the cuff area, unfolded - it sort of flares out, doesn't it? You gave some allowance for the cuff, and cut off the excess. Then you folded up the cuff and - eek! The cuff is the wrong shape! 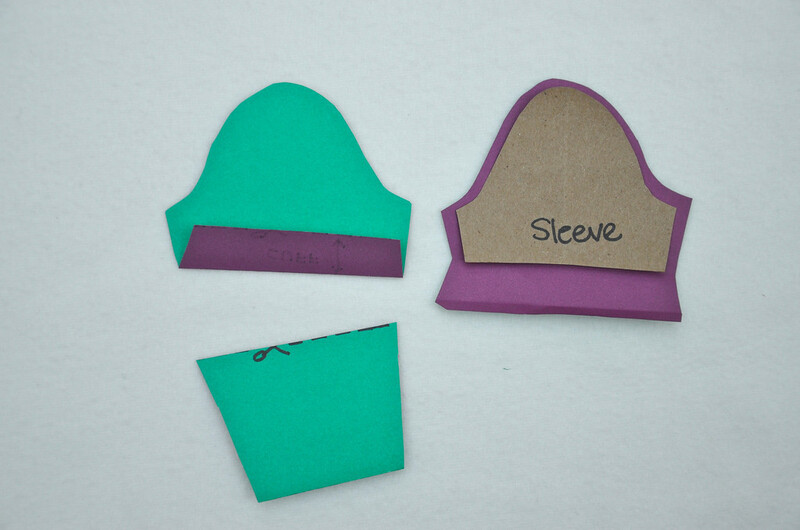 Here it is, compared with the green fabric shape of the left that it should be, for a cuff to work. And here they are, superimposed, so you can continue to see how wrong the shape is. 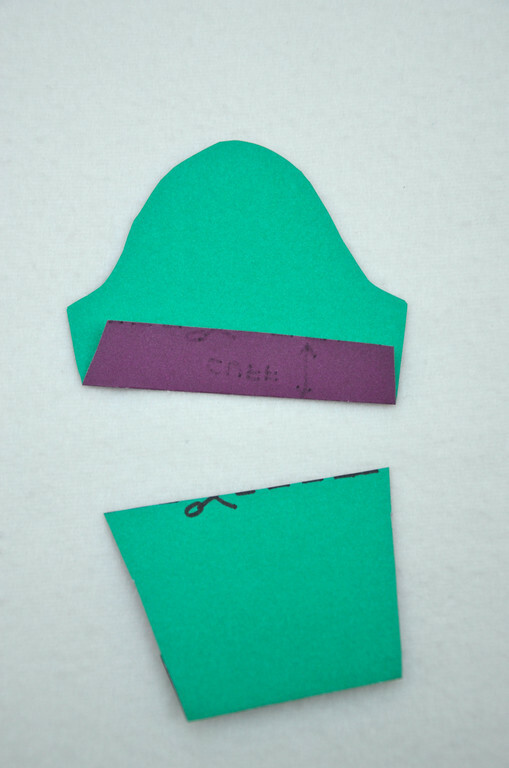 The green underneath is the correct shape of the cuff bit, and the purple, with the missing corner bits, is what your long pants were cut into. 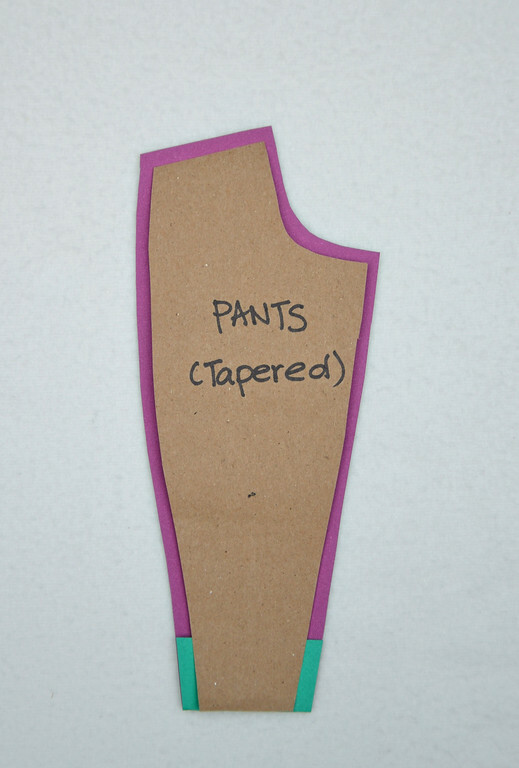 What if the pants weren't tapered? 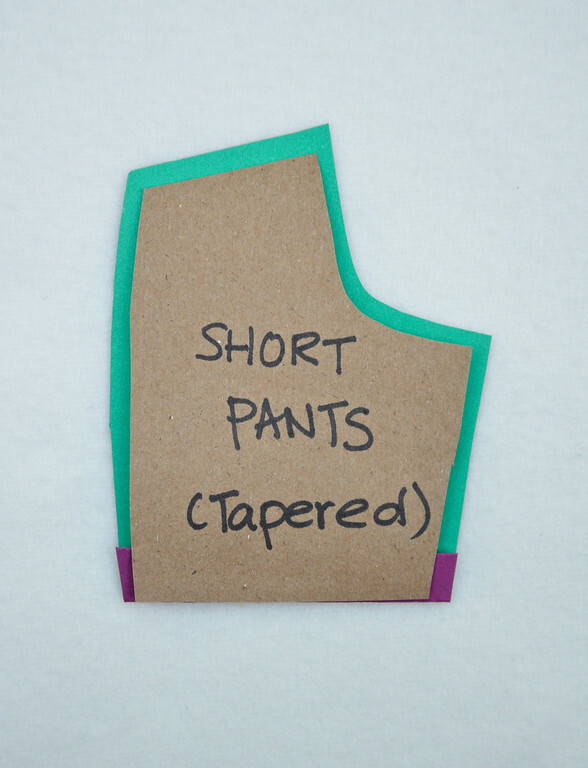 Would shorts-with-cuffs work if they were cut from long flared pants? Sadly, no. 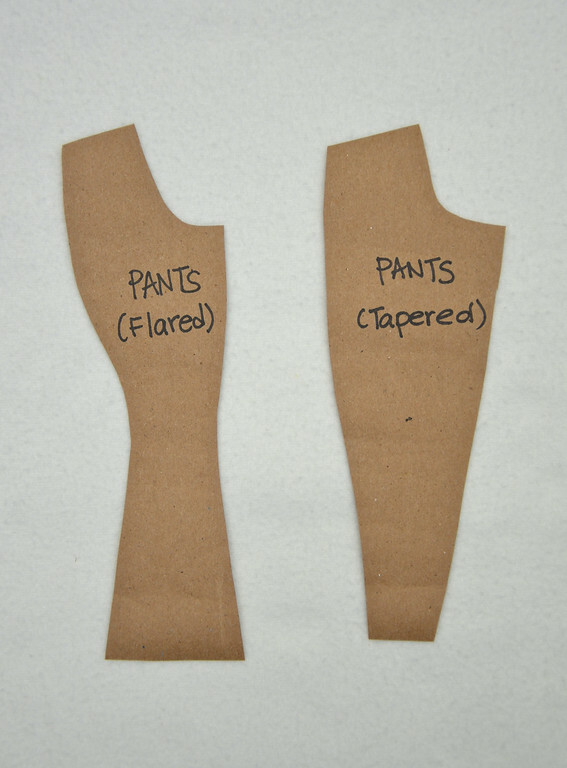 The pants would be cut off in the thigh area, and even flared pants are still tapered down to the thigh, and only flare out below the knee. Sorry, no go for cuffs. Guess what? 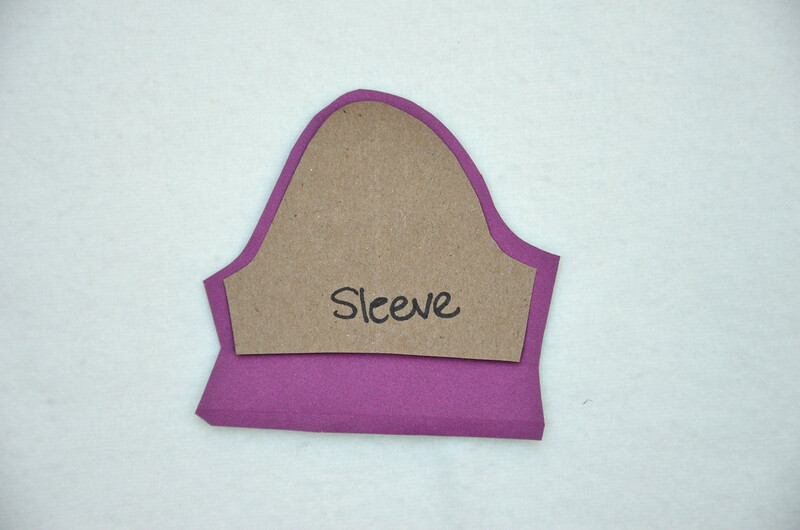 The same principle applies to sleeves! 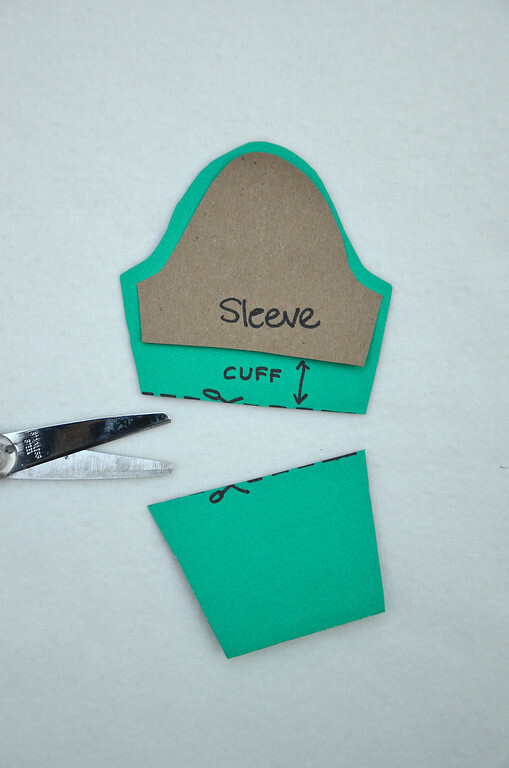 and unfold the cuff part. The moral of the story, therefore, is: only attempt cuffs if your original pants or sleeves are balloony through the thighs, so you have lots of extra side fabric to turn into the right-shape cuff allowance. Otherwise, best to stick to narrow hems, faced hems, rolled hems or frayed hems (I hear they're fashionable in denim shorts if you're still in high school, ahem). So I hate everyone who complains that their pants are too long. I am, like 8 feet tall, and I can never find pants that are long enough to even count as deliberately fashionable the way, say, Michael Jackson's were fashionable. You can't let down a hem if there isn't any fabric to do it! You're supposed to be an expert - help! My corduroy pants - behold: the fold lines from the old hem are violently obvious, but that's because they went in and out of the wash for more than a year before I buckled down and let them out. 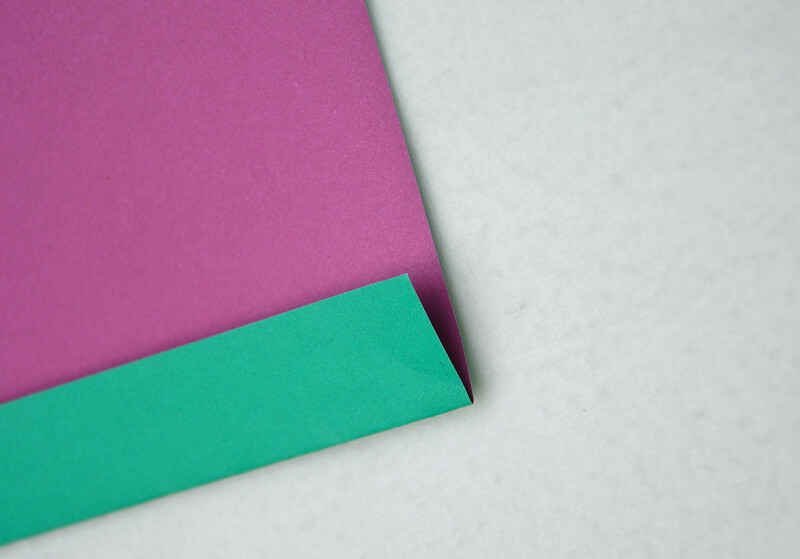 There is no folded hem now - it's just a rolled-hem edge. It bought me about 1.25" extra inches. If you do this while your pants are brand new i.e. BEFORE washing them one million times, they can look quite good. See next photo. This is the hem of a skirt that was meant to be gathered and puffy. It was, in keeping with its design, also too short. 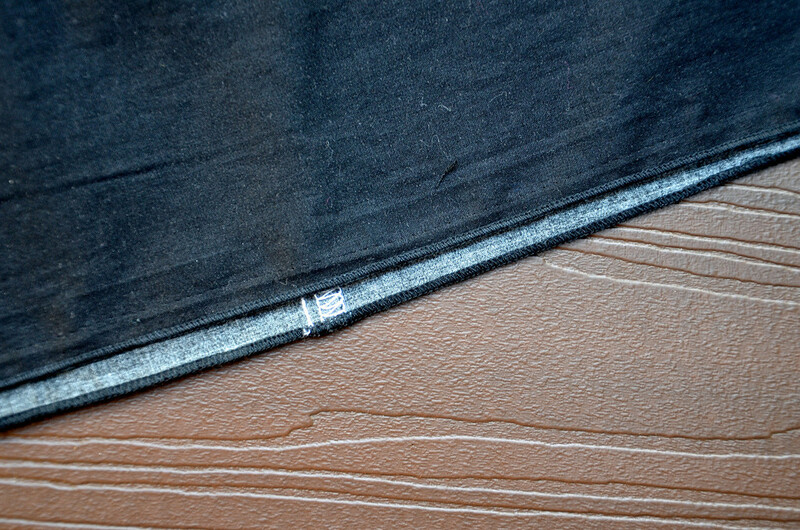 I removed the gathers and turned it into a clean A-line skirt (long story, not relevant to this post), but here's the hem- unfolded, let down completely, and its edge rolled-hemmed. Here's the skirt in full view - you can't see the old fold lines of the hem because (ooh, look who learned from her mistakes!) I did the hem when it was still brand new. My husband has a polo shirt that is too long. I figured I could just take up the hem by a couple of inches, but there is a problem: the back hem is lower than the front, and there are side slits. With the higher hemline, they'll all but disappear. Is it worth the trouble to make new slits? One question: do you love your husband? Really? How much? OK, that's technically three questions, but listen up, because this will test the strength of your marriage. 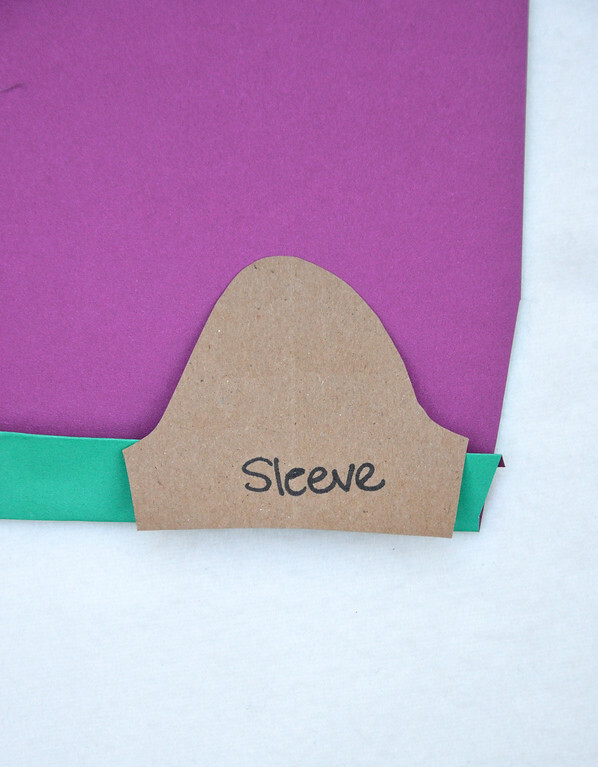 Sometimes garments have, as part of the design, slits. These could be side slits or back slits or front slits. To take up or let down their hems, you will need to take those slits into consideration, especially if the alteration changes the length of the slit(s) so much that they look daft or disappear altogether. So you have a polo shirt that's, say, 3" too long. On the surface, it's a simple hem job - raise everything by 3" and Bob's your uncle. But how long are those side slits? 3"? Almost, darn it. If we took the hem up high enough to obliterate the slits, the shirt would be too short. 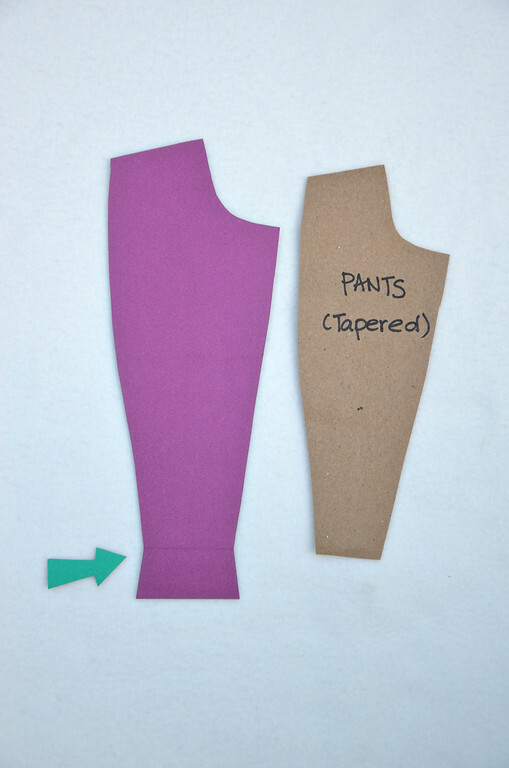 The solution - get ready for a can of worms - is to unpick the hem, unpick the slits, unpick the side seams and take in the side seams to create a wider side seam allowance to recreate brand new slits. It's like plastic surgery on clothes. The actual raising of the hemline, which is your presenting problem, will be a mere afterthought in the wake of all that. More self-disclosure - my husband had a polo shirt that needed exactly that kind of surgery. I did it, and purely for the love of the man. So back to my question: how much do you love your husband? I love these AAA letters!!! And I love your transformed skirt. Thank you, Sarah, for what must be one of the nicest comments I have ever had. I am happy to be a virtual Homec Teacher! I've been reading your blog for quite a while, but never commented before, but anyway, Thank You for doing this series! I am learning so much, which is pretty much true for all your posts. You are a great virtual teacher! Hahaha you're too funny! Thanks for the tutorials! It's funny that you posted this, because I used to do alteration, on vintage clothes. And I hemmed a pair of my own pants for an interview a few weeks ago, and I hate how it looks bunchy. 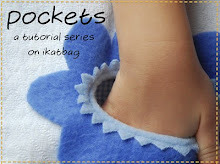 I saw them in my closet the other day and thought-note to self, dont pull the stitches too tight. These posts have all been wonderful. 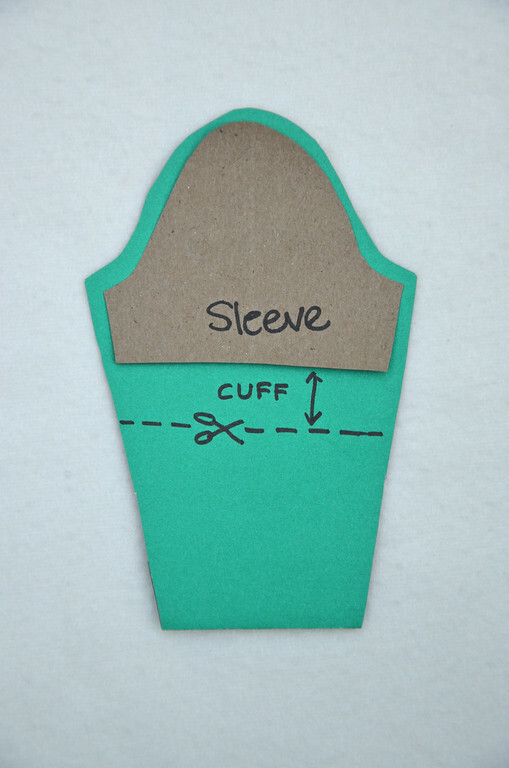 This hem/cuff information has been a revelation to me (a novice sewer). 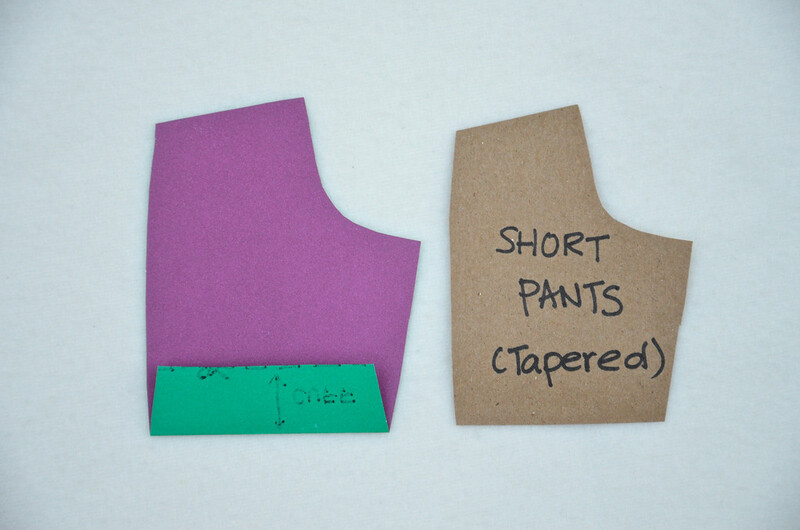 So I should never cut a hem straight below the pant/sleeve -- I should always remove the "hem allowance" from my pattern pieces (which, at this point, are always homemade) and fold up a hem before cutting? This makes a lot of sense. I just wonder if I am safe generalizing. Oh my goodness, I misspoke. 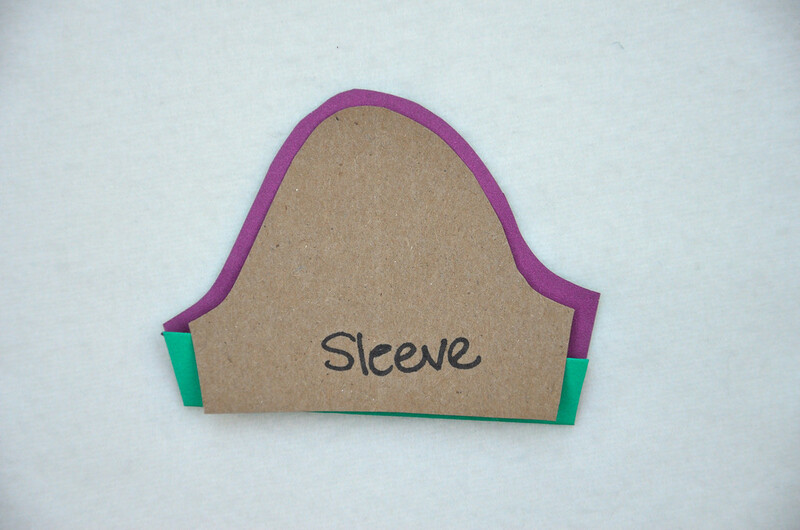 I mean for cuffed legs/sleeves. THat's OK, Jenny! I knew what you meant. In my family, we never used patterns with seam allowances. 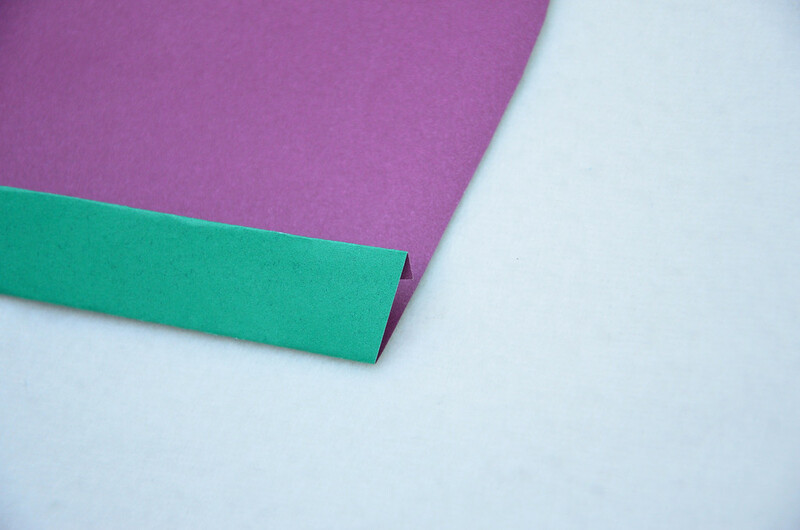 So we added cuff allowances by literally folding the fabric into a cuff fold, and laying the paper pattern on it and cutting it out. 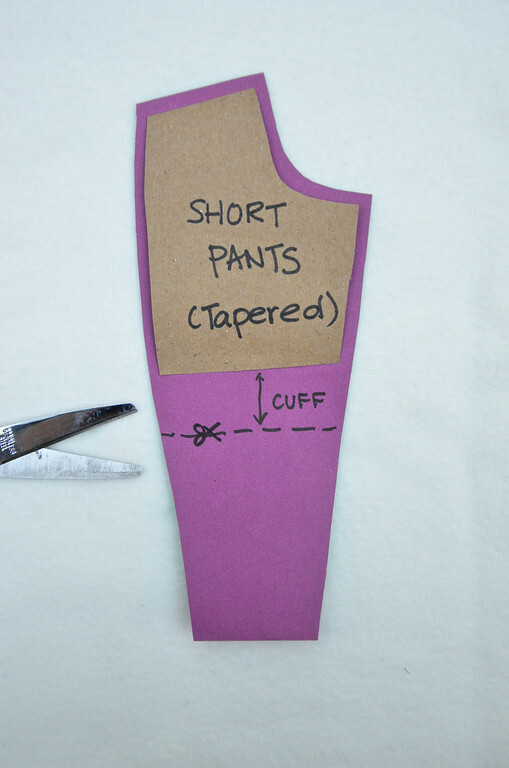 Commercial patterns that come with seam allowances should already have this funny-shaped hem/cuff allowance drafted into the bottoms. If they don't, they are AWFUL patterns and maybe not worth buying again. The exception is if the pants/sleeves are completely straight i.e. neither flared or tapered, in which case the cuff allowance will look continuously straight with the rest of the garment. whew, I'm not fond of cuffs anyway! Have cut off pants and made rolled hems many times, though! 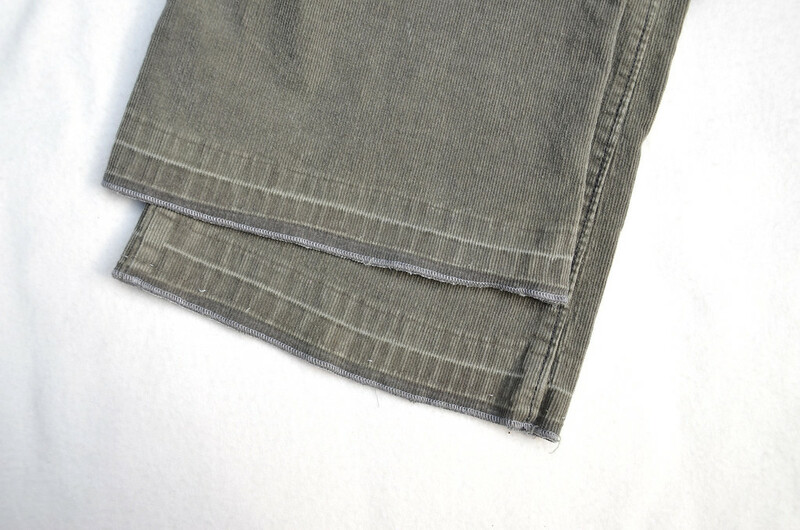 While you're letting hems up and down--you do know the trick to get rid of old hem lines, don't you? Lightly dampen your fabric, spray with some white vinegar, then iron. This is also a good way to get rid of stitch mark when you remove them from an old seam or take off a patch or something. My brother taught me this eons ago when I was changing patches for him, he worked on ambulance and had to update some polyester shirts, of all things! I had no idea! Will it work for really, really old hemlines? 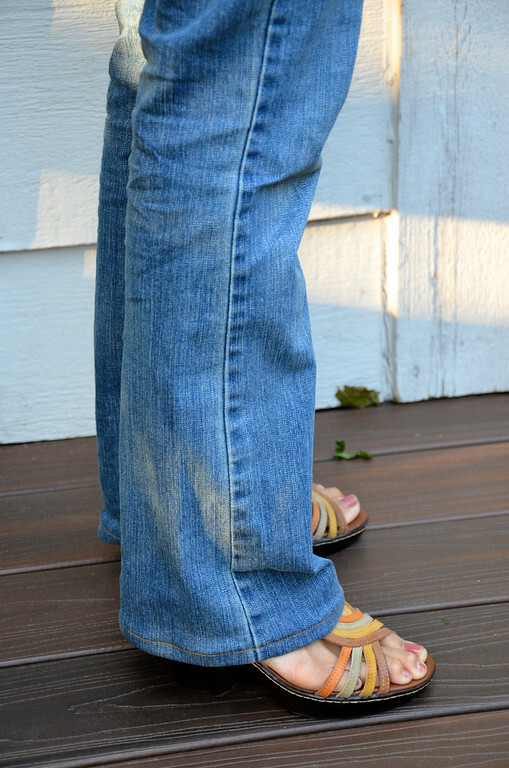 Like the faded hemlines on my old corduroy pants? Can the vinegar replace the faded color, too? I have to try it! Thanks for the tip! I've been sewing for years, but it takes a lot for me to understand pattern making and alterations (four out of five of my siblings are engineers...and then there's me...). With your tutorials, I've been having those eureka moments when finally everything's clear. Thank you so much for your generosity in sharing this. And now, tell me, when I you going to combine these in a book? First pre-sale, right here! Thank you, Jude! No plans for a book, to be honest - I really don't want to invest time in it now when the kids are at this precious age. But if I ever consider writing one later, it will be solely because of the kind encouragement from readers like you! 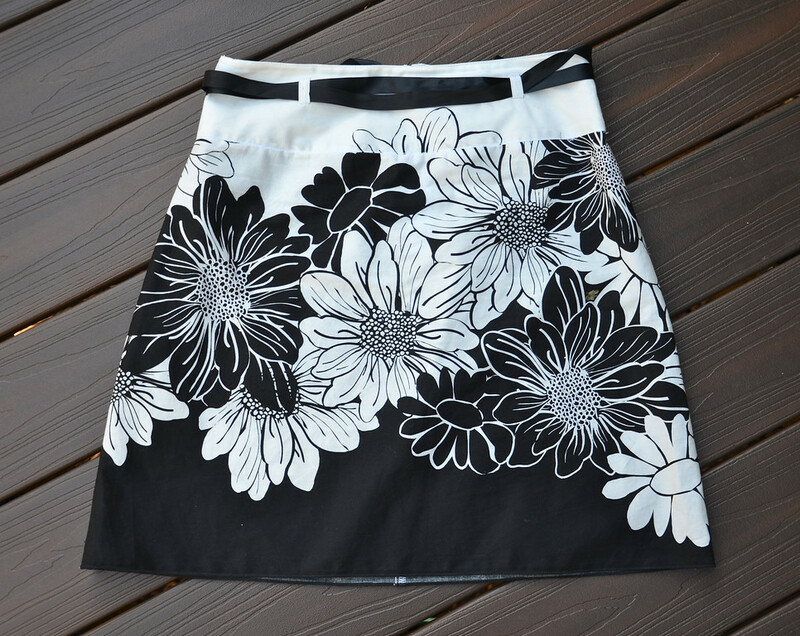 I have a skirt that I love dearly, I bought it "knowing" I was going to fit into it soon. But, you know what happens to a mother's hips, right? (iii) and therefore, you're cleverly creating more fabric where you need it by cutting off the small waistband which you don't want anyway? Hurray! I will have to send you a picture if/when I get it done.